Chrome plated brass taps. Recomended min pressure 0.5 bar. 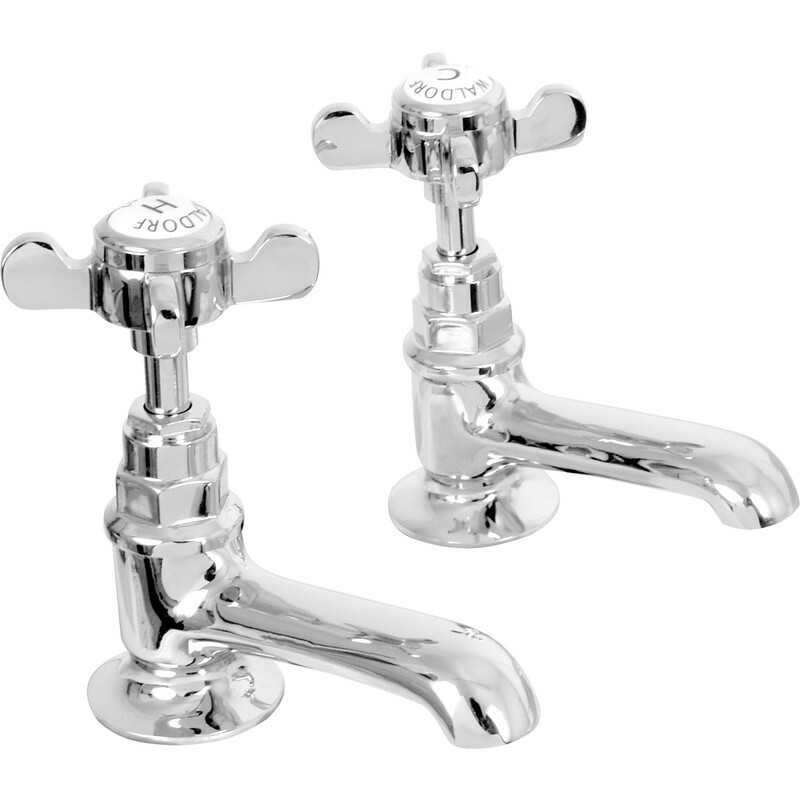 Waldorf Traditional Taps Basin (2 Pack) is rated 4.6 out of 5 by 11. Rated 5 out of 5 by Adrian H from Very nice traditional taps, just what I needed. I was very pleased with these taps, very fast delivery and I installed them as straight away. very easy to install. It took about half an hour to complete, no problems.